We see the failure of electro-mechanical hard drives on an almost daily basis. These clumsy but delicate devices are nearing the end of their technology life and SSD (solid state drives) with large capacity and mainstream pricing will take their place. The end-of-life for these troublesome drives is welcomed, though I must point out that while everyone moans about the unreliability of IDE and SATA drives, they are built to a price and you got what you asked for. Some drives seem to be a little more reliable than others, while the WD Velociraptor is very reliable, at a price. We would expect to see data retained when the flash drive has reached its write cycle and this presents its own security issues for enterprise, medical, and all other users where critical data is stored.� Researchers at the non-volatile-systems -laboratory found that commercial erasing programs were not entirely affective with data remnants still available to testers. 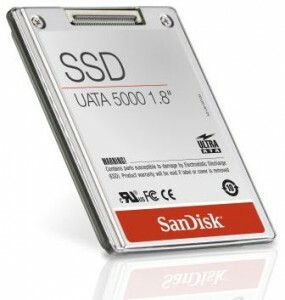 A SSD drive that is unmountable or no longer appears to be working may be mistakenly discarded with accessible data on it. You are currently browsing the Wired Office weblog archives for February, 2011.